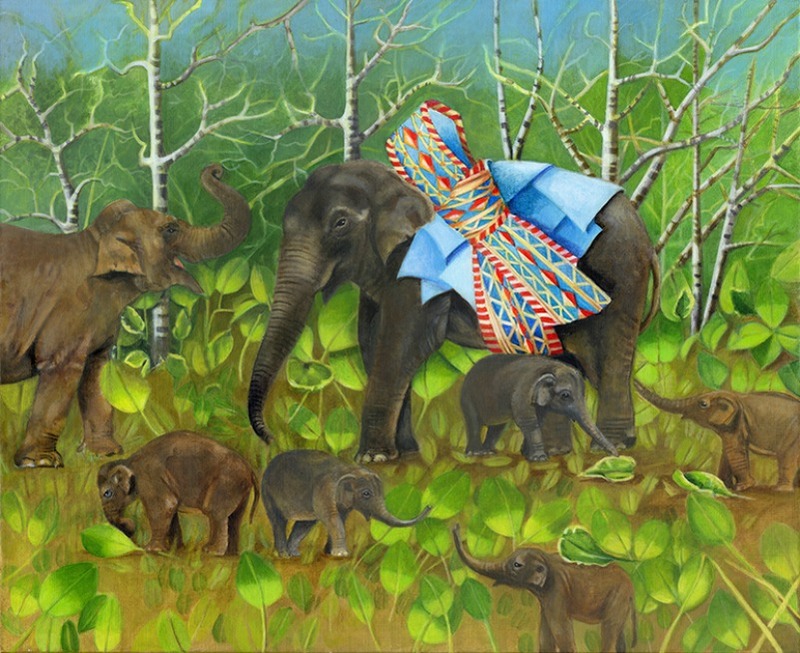 The star in this painting is the matriarch with the Indian Sari ribbon. It is a gathering of different sized elephants in a fantastic woodland. Each one has a distinct personality and the composition pays homage to this exceptional animal in the wild.